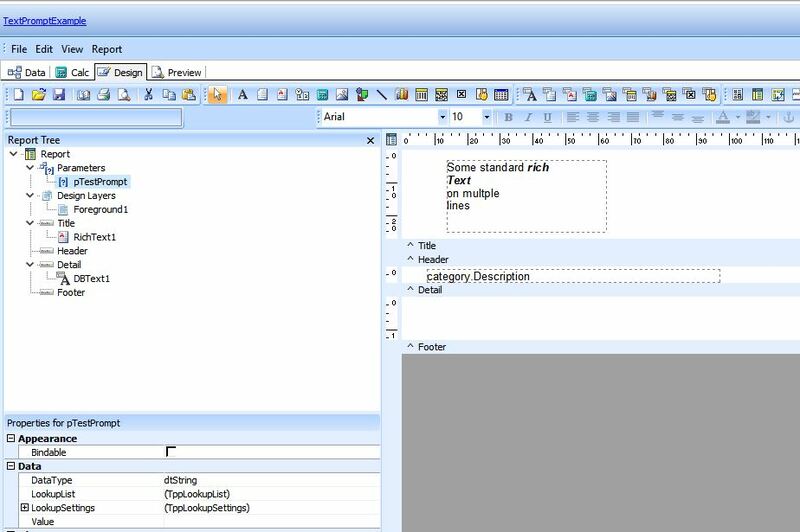 Designing reports and printouts in HireTrack NX is very flexible due to the inbuilt report designer. 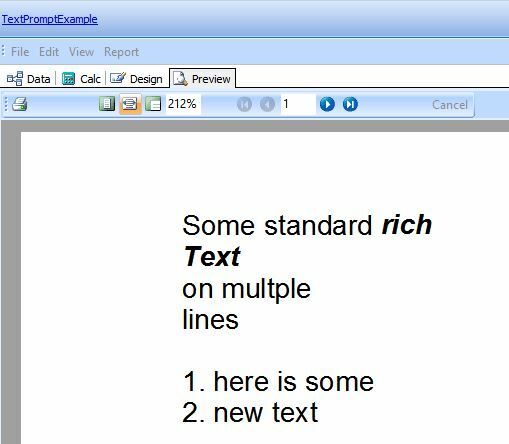 However sometimes even with the best crafted report template you want the user to be able to add some text on the fly – maybe a personal greeting to the customer or some explanatory notes at the end of a management report and so this week’s Friday feature is a little different and we dig beneath the surface of the report designer. 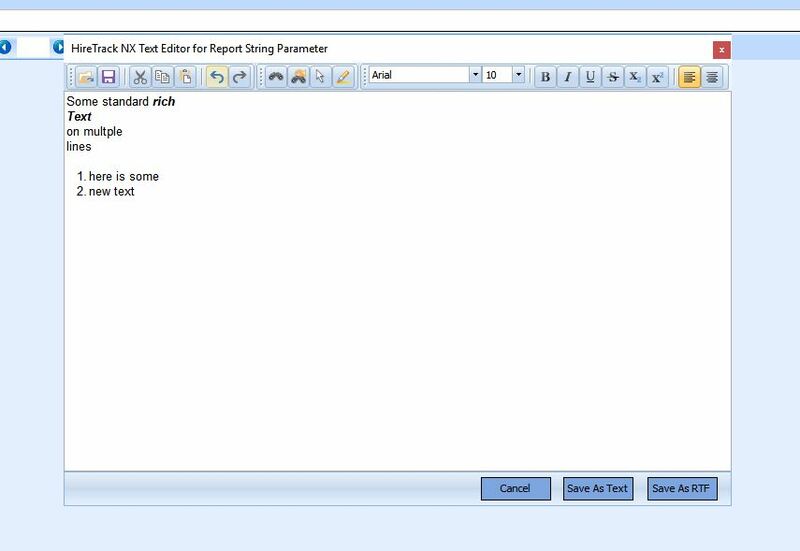 In release 250 of HireTrack NX (April 2017) the functionality of prompting the user for input, as documented in THIS article (Section 2, Parameter Prompts), has been extended so that a full Rich Editor interface can presented to the user when a report runs. 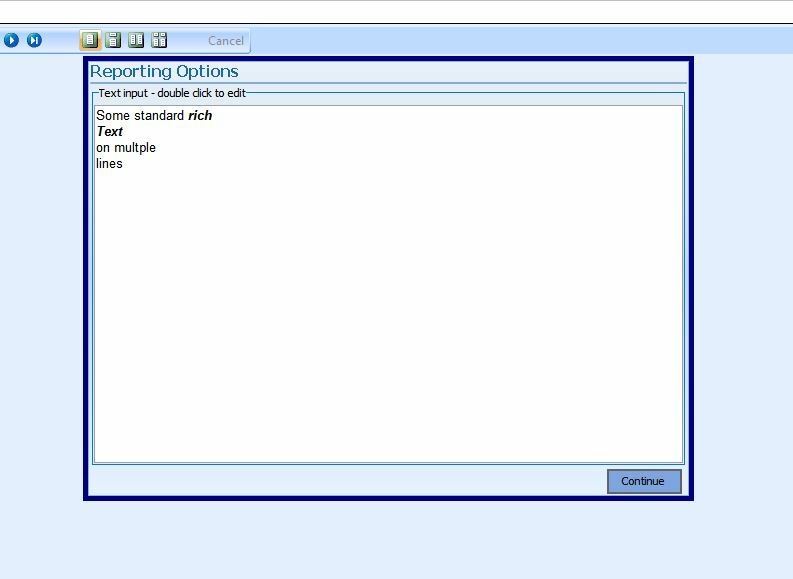 Note: please refer to the aforementioned article’s “Section 2, Parameter Prompts” for how to create parameters in reports before proceeding. 2. Go to the Calc tab and create an OnInitializeParamters event and code it appropriately as per the screenshot below. 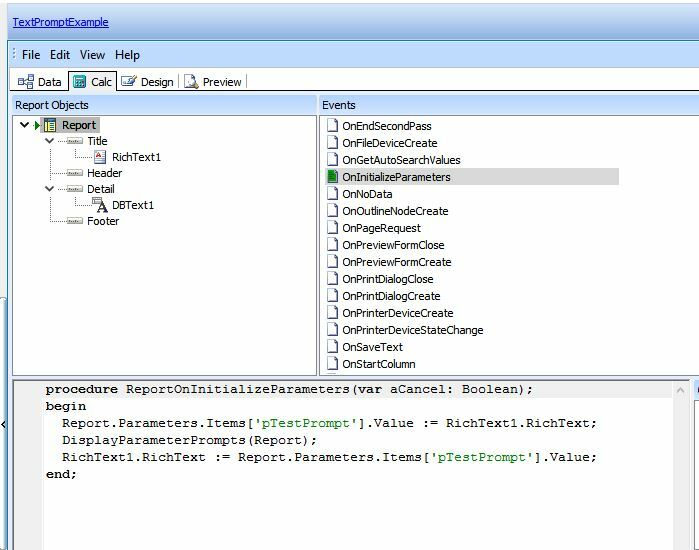 Note how the example code refers to the pTestPrompt parameter and the RichText1 control that is on this particular report. Note: user edits are NOT saved with the report after it runs; they exist only for the duration of the Print Preview.